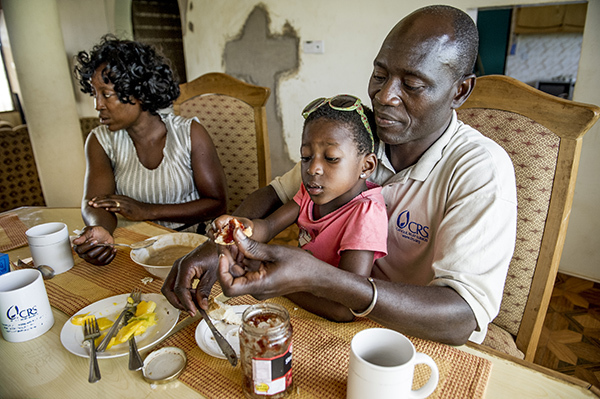 Thomas Awiapo was just a small boy in Ghana when his father, and then his mother, died. He and his brothers were taken in by an aunt and uncle. But, as orphaned children, they ate last. And, often that meant they did not eat at all. Two of his brothers died. One ran away. One day, Thomas saw a boy carrying sorghum—a grain that in the U.S. is mainly used to feed cattle and in Africa is often used to make beer. To Thomas, it looked like a good meal. He learned that the boys ate it at school. So, Thomas started attending school. Catholic Relief Services supports education in many ways. 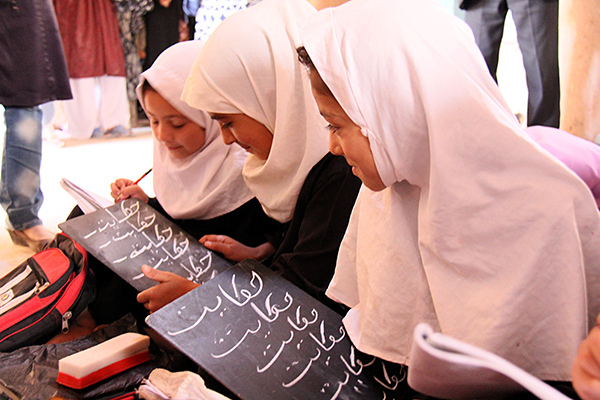 We build schools in Afghanistan so girls who are not allowed far from home can attend. We create community reading spaces in the Democratic Republic of the Congo, support peer tutoring programs in Honduras and implement visual report cards in Mali so parents with low literacy skills can track their children’s progress. We work to improve the education systems for adolescent girls in Ethiopia, help child laborers stay in school in Ecuador and Guatemala, and ensure schooling for vulnerable children, including those with disabilities, in Kenya and Vietnam. And, we help refugees from violent places like Syria and Iraq—kids who have fled to tented camps or crowded apartments—get an education, so when they return home, they are equipped to help rebuild their countries. We’ve been involved in school feeding programs since 1958. We not only know that kids show up more regularly when they get a meal, but also that well-fed students are better students. Thomas Awiapo went to school for a meal. He stayed for the education. His teachers sent him on to a Catholic high school, where he excelled and qualified for the university in Accra, Ghana’s capital. After graduation, Thomas came to the United States and received a master’s degree from California State University at Hayward. All because of a boy with sorghum. There are other things that help educate kids that might surprise you. Like drilling a well. Fetching enough water for a family to get through a day is an arduous task when you have to walk miles to get it. Often this burden falls on young girls who spend their days going back and forth to the nearest river. Drill a well and the girls go to school instead. Or, help a farmer grow more and better crops so he has enough to sell in the market, and his children don’t have to work in the fields. There’s enough money to pay school fees and buy uniforms. So, the kids get an education, growing the most important crop—a better future—for themselves, their families, their communities, their countries and their world.